When it comes to your face, you can’t take any chances. 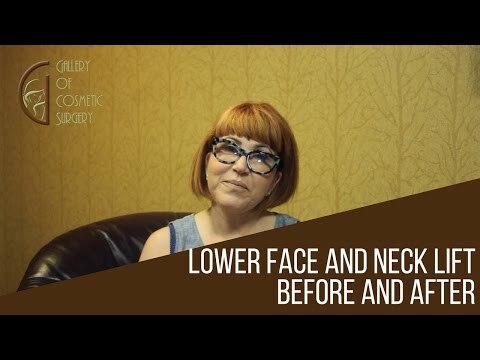 If you are considering facelift surgery in Orange County, you need the expertise of an experienced surgeon that will do the job right the first time. At the Gallery of Cosmetic Surgery, that is exactly what you will get. Our board certified facial plastic surgeon, Dr. Kevin Sadati has performed well over 2,500-face and neck lift procedure using local anesthesia and oral sedation without the need for general anesthesia. You should feel comfortable with your surgeon, and Dr. Kevin Sadati will do nothing less than work hard to make you comfortable with every procedure. From answering questions and addressing concerns during in-depth consultations to being gentle during the actual facelift procedures, he will ensure that your entire experience is something to smile about. The blepharoplasty procedure is commonly known as the eyelid lift. During this operation, Dr. Kevin Sadati removes excess skin and fat from the eyelid area in order to rejuvenate a person’s appearance. The blepharoplasty can be performed on the upper eyelid, the lower eyelid or both eyelids at the same time. The traditional facelift procedure can eliminate lines and wrinkles on the majority of the face, but the blepharoplasty is one cosmetic procedure that can improve the appearance of the eyes and provide the patient with long-term results. Hi. I'm Linda, and I'm 64. About seven years ago Dr. Sadati did a face lift on me. I did not have my upper and lower eyelids done at that time. I loved how my face looked, but as years went by, my eyes I felt did not reflect the rest of my face, so just recently Dr. Sadati did my upper and lower eyelids. I am so pleased with how they look. I'm a professional, and I'm out in the business world every day. I feel now that my eyes match the rest of my face and the energy that I've always had. I am very pleased, and I would recommend Dr. Sadati anytime to anybody. He was very patient. He explained everything very thoroughly prior to the procedure. His staff is wonderful, and I would come back and do it again if I had to, but I don't think I will.